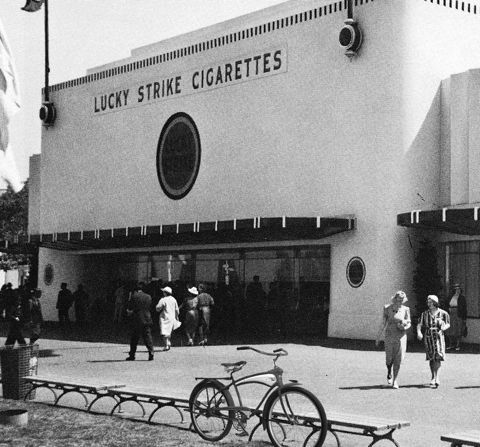 Welcome to the Mercury Cycle Museum, dedicated to the mysterious Mercury Industries Ltd, (which came into existence in 1946 and went into liquidation in 1958). This online museum also covers other cycle manufacturers who used the name ‘Mercury’ for some of their bicycle models, in particular the prewar American Murray Mercury models, including the famous 1939 New York Worlds Fair Mercury Pacemaker. 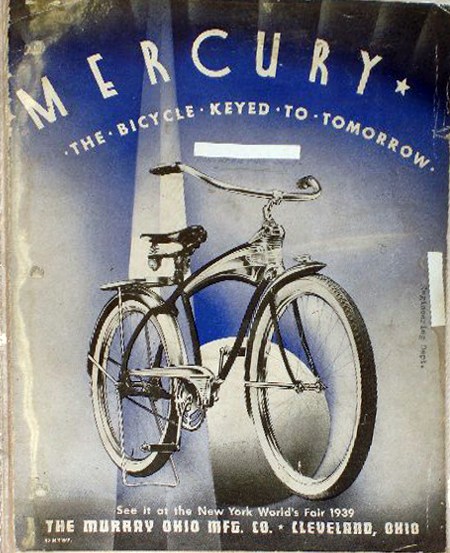 Mercury Industries did not advertise much in their early days, and prewar Mercury bicycles, made by a variety of other companies, are also rather obscure. So to brighten up this website, I’ve appropriated the logo at the top with a liberal dose of poetic license (my apologies to Raleigh Industries, whose combined companies were the true claimants for the ‘greatest names in cycling’). The name ‘Mercury’ is ideal for a bicycle. The Roman god Mercury, like his Greek counterpart Hermes, was illustrated with wings on his heels. 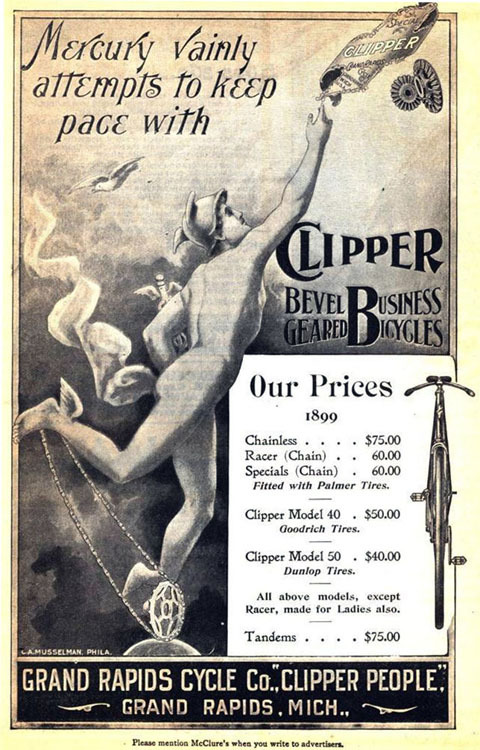 Cyclemaster Ltd used the slogan ‘The Magic Wheel that Wings Your Heel’ in their advertising for the Cyclemaster. And the model name of the first Mercury scooter, introduced in 1956, was Hermes. Mercury Industries Ltd supplied Cyclemaster Ltd with Mercury bicycles. This museum website (like the other online museum websites) is a public resource and database. It has no commercial connections. Websites are organic entities, invariably developing in ways not initially envisaged, so it may change in due course. I’ve been collecting small Worlds Fair ephemera for nearly thirty years (ever since meandering down Bleeker St in Manhattan and discovering the interesting junk shops there). I didn’t know at the time that the 1939 New York Worlds Fair had a ‘featured’ bicycle. * 1. Mercury Industries Ltd.